So what is art? Good question. I don't know, but I think it's something that moves you. It is something that you can hear, see, touch and it creates a feeling in you. Tom Cross, the MKS president collects all kinds of kite memorabilia. 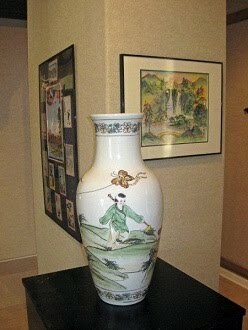 Some of his items are currently on loan to the Hanson Gallery at the Clear Lake Arts Center in Clear Lake, IA. 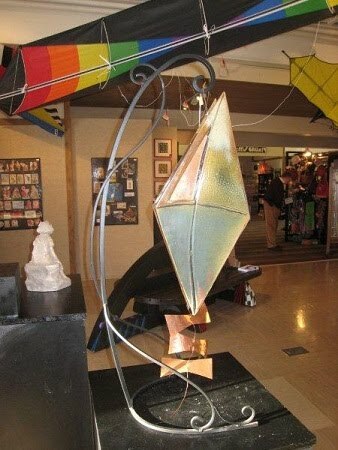 The items are part of an exhibit as part of the Color the Wind Kite festival on Saturday, February 19th. The Arts center hours are 10 a.m. to 5 p.m., Tuesday through Saturday. The Arts Center is located at 17 S. Fourth Street. Admission is free. 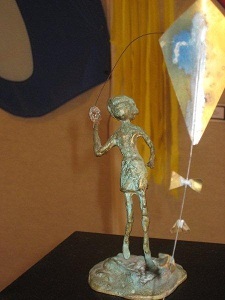 For information, call 641-357-1998 or visit www.clartscenter.com. Here is a link to an excellent story about the exhibit. 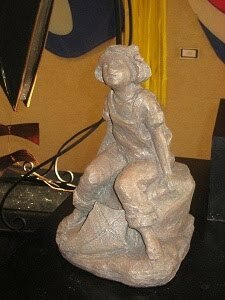 Here are some of Tom's items you can see at the exhibit. Arts center hours are 10 a.m. to 5 p.m., Tuesday through Saturday. The Arts Center is located at 17 S. Fourth St. Admission is free. 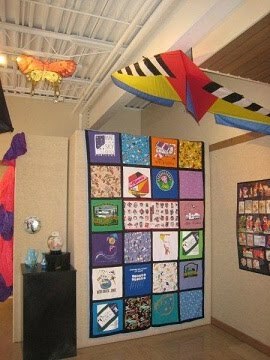 For information, call 641-357-1998 or visit www.clartscenter.com.